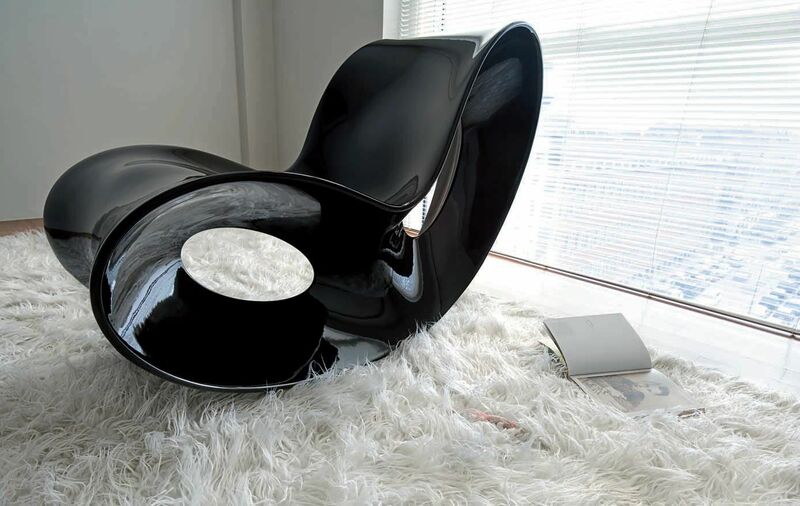 We love the new version ''glossy black'' of the famous Rocking chair Voido. 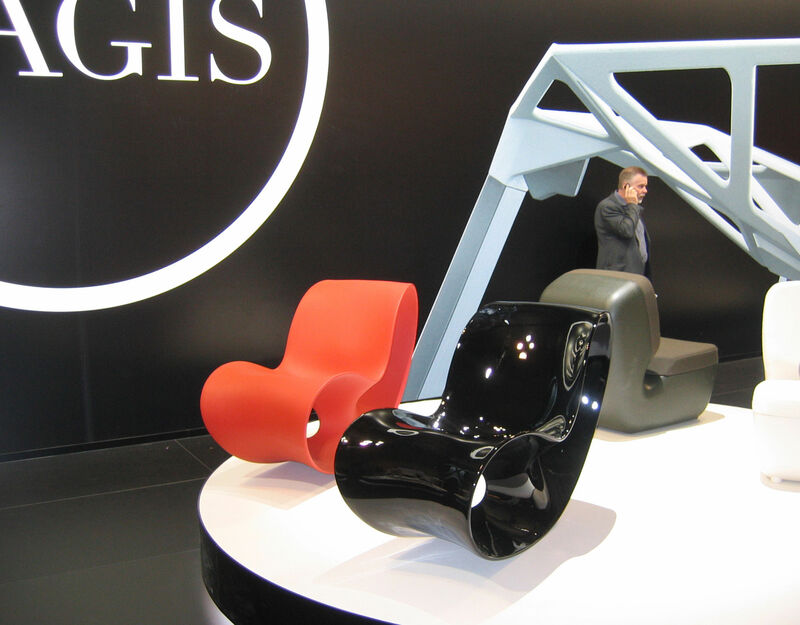 Originally conceived in blow moulding, Voido was presented at the 2005 Furniture Fair in a "mould testing" phase under which it suffered greatly. Underestimated by Magis and Arad alike, the latter of whom jokingly wrote on the prototype, "This is not rotation moulding! First attempt in big scale blow moulding. Almost there!" But not a thing could be done to alleviate the technical suffering, as trial after trial made evident. So the Voidoblow moulding combination was given up in exchange for rotational moulding that features new and decidedly superior aesthetics. Now Voido is ready for the market. A sculpture by Ron Arad.